We are engaged! I am so happy that we are about to start our lives together. Parker proposed after he made me a romantic dinner that we ate from our deck while admiring the beauty of Santorini. We spent all of dinner talking about our future and how much we love each other and then he asked me to marry him! It was so special and sweet and I will cherish the memory forever. He also put together the cutest and sweetest video for our engagement! You can click here to watch it. I am so excited to start wedding planning!!! And I am OBSESSED with my ring! It is so beautiful! I love it! I love Parker so much and I am so excited to see what the future holds for us. The fact that we have been vlogging so much lately and plan to continue vlogging is so special and I know we will be so happy that we have these memories to look back on when we are older. Also thank you all SO much for your positive comments about our engagement! We are so excited and can’t wait for the future. 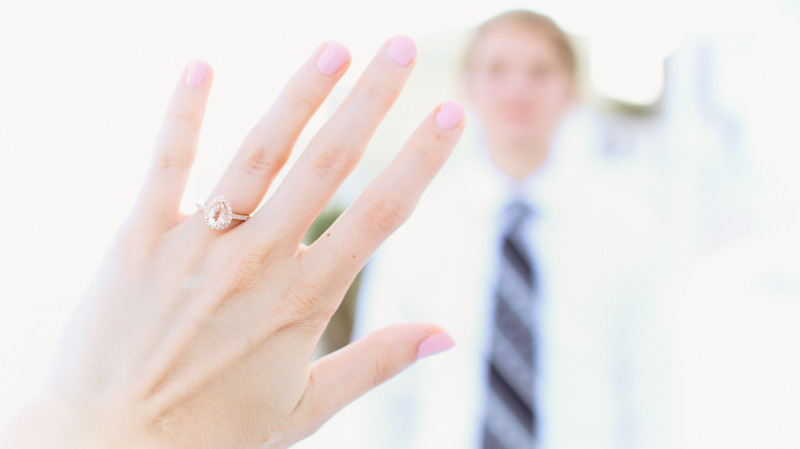 Your ring is so beautiful! Congrats! Aspyn, im so beyond happy for you two! Congratulations on this special moment once again! I love you, and wish you all the best things marrige can possibly bring! Seriously, if i will ever find someone who would be at least half that close to be perfect for me as Parker is for you, i would be the happiest person in the world! 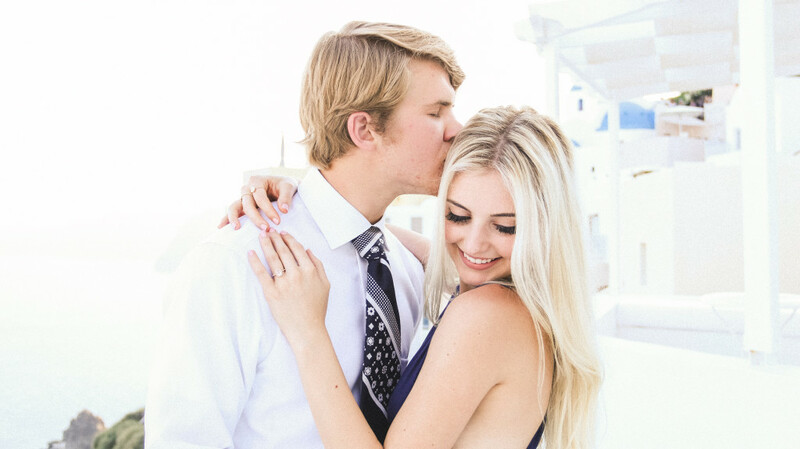 Honestly, when i woke up and saw your tweet about the engagement, it made my eyes water, because i am so so happy for you and Parker! And your ring really is beautiful! yay! I’m so happy for you two! I can not wait to see photos from your wedding! Congratulations!! Getting engaged is so exciting. have fun wedding planning! I am so happy for you!!! I love you to, you’re the real otp! I’ve been watching your video’s for soo long and I’m so happy for you both! Many great memories to come and I love you guys! Congratualtions!! So happy for you and Parker!! Omg! I am so happy for you Aspyn! I love both of you guys so much and I am so excited for you and Parker’s wedding! Once again, congrats and the best of luck to the both of you! Congratulations!! Good luck on your future together! I am so happy for you both and I love you both so so much! You inspire me that there is still hope for true love and to find someone that is truly made for you. Congratulations and Im so excited to see all your adventures together as a beautiful married couple! I am so happy for you both! I love you so much and your videos are amazing!! Congradulations aspyn this video made me tear up i love u congrats again!!!! I’m so happy for you guys! Can’t wait to see your wedding video and eventually little Ferris babies :D Congrats! I LOVE YOU ASPYN AND PARKER ????????????????????? I HOPE YOU LIVE LITERALLY THE BEST LIVE ANY ONE COULD EVER LIVE WITH PARKER!!!!!!!!!!!!!!!!!!!!!!!!!??????????????????????????????????????????????????????????????????????????? Oh, I’m so happy for you guys? loveu Aspyn? Congratulations! I have watched all of your vlogs (except for the PLL finale reaction because im only on season 2!) and love you guys! I wish i could have met you when you were in London. Good luck with the wedding! OMG congrats!!!! I love you soooooooo much!! You and Parker make me so happy. Every time I watch ur vlogs it just makes my day. I hope one day I can have a relationship as good as that!!! I hope you and Parker have the best life together and I can’t wait to see your up coming vlogs with you guys getting married and living your life together. You are my favorite YouTube ever!!!! Congrats so much!!!??? Congrats! You two are gonna have a wonderful life together. Love you good luck in your future. You guys are like the cutest couple ever. you wedding video made me cry cause i want to go school for stuff like that and so when i become big give me a shout out. Beautiful Aspyn!!! So happy for y’all! Congrats, you guys are now married and I hope you’re enjoying the honeymoon as well, and have a great journey ahead of you both! the ring is gorgeous, i love it! thats a sweet way to spend dinner before getting engaged, how romantic! to listen news on Television, so I just use internet for that reason, and take the most recent news.